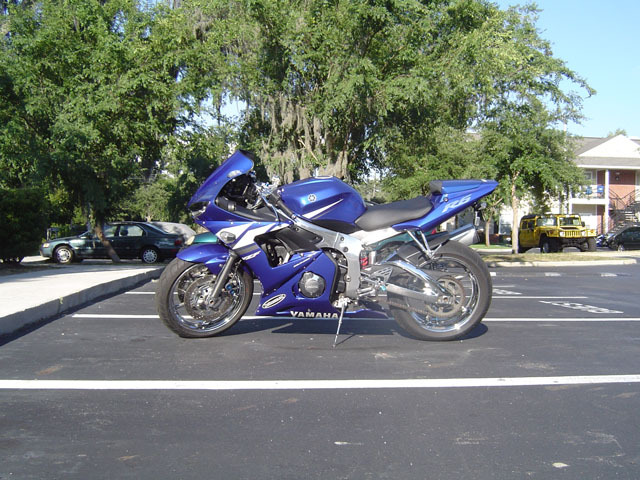 2003 Yamaha R6...some mods... it keeps up with a 750cc. nice, i might be picking up a 636 or a 92 750. 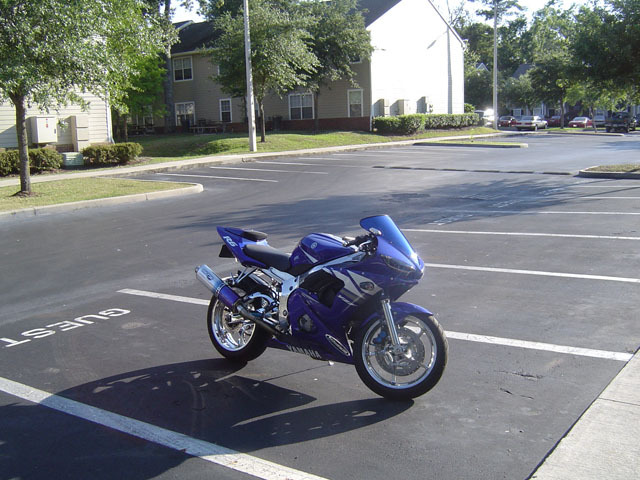 Very nice.. Congrats on the new bike. You won't think much about cars now that you have a bike. Atleast I didn't. well i'm gertting one soon!! Polished rims, polished frame, flush mounts micron pipe, what other mods. very nice. 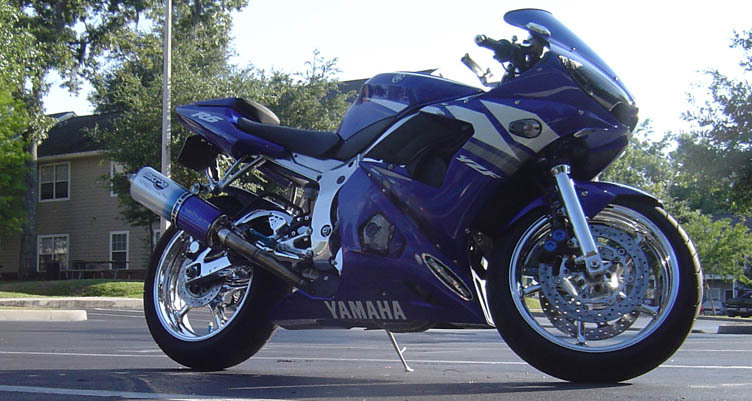 The frame is the only thing polished... the rest is chrome (wheels, forks, swingarm, etc)... bling bling!!! Some of it has already chipped off though. It was laided down on the right side by a previous owner. Probably the same owner that did all the bling bling too!